Nothing much, but it’s always nice to see mentions in magazines. Even if they all use the same handful of screenshots every time (like this phenomenon) 😛 Is “fashion” really spelled like “fasion” in Australia, though? You can’t really blame the media for using the same set of screenshots. This was one of the few “from-the-source” shots released in the MOTHER 3 World site, so maybe it’s one of the very few available for them to officially release. Hah, wow. They even mentioned EB64 :D! I hope that that’s how they spell fashion because if not, that’s a pretty glaring typo. 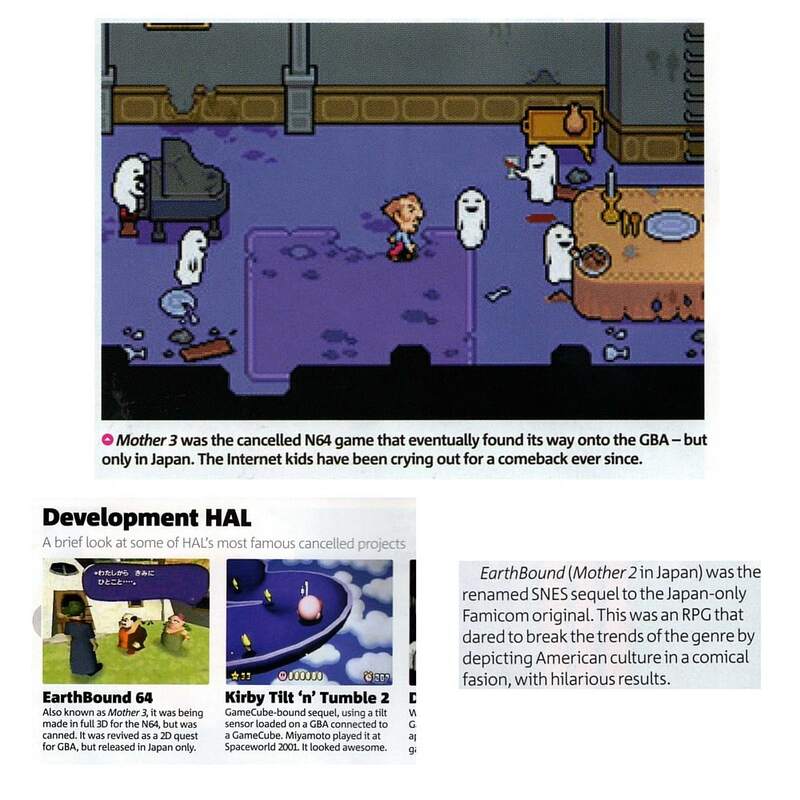 But then again that little written part on Earthbound was covered by paragraphs and paragraphs of info on other HAL Laboratory games(mostly Kirby) so it’s not very noticeable. I don’t take kindly to the word “crying” they used, it’s more of a “signing petitions and helping Mato and co. with translations a professional would be getting paid for.” Also, trololo at fasion. Hey I’m Australian and get that Magazine! I noticed the article. It was interesting, but a shame that they didn’t even mention the Fan Translation. I just e-mailed them. Nothing special, just informing them of the fan-lation patch and how they should’ve given credit to Mato and the others, where due. I also mentioned that it was a big mistake not releasing Mother 3 stateside and they should put it up on the 3DS’ e-Shop. @LakituAl I think they meant “begging out loud”. It’s pretty interesting considering that they even mentioned EarthBound 64 at all by my standards. Have they even ever mentioned EarthBound 64 in Nintendo Power or one of those Nintendo video game magazines sold in North America? Irony because you spelt ‘Nature’ wrong. I hate typos like that, being an Australian I actually really hate how we’re stereotyped, no thanks to Steve Irwin and the move “Australia”… ugh VERY BAD way of presenting us to the world guys, well done. NoA (Australia instead of America) is infamous for their laziness, here’s a semi-recent example: In the AUS version of the SSBB guide (and in the game) they put all Pokemon names in all caps eg. PIKACHU, but I found Diglett is still in lower case… um what? All caps in America, MarioFan3.